*The Following Alaska and Wrangell Petersburg Borough supplemental forms are included as a courtesy with your order. This form is required by the State of Alaska on a residential transfer of real property. It includes an addendum to explain repairs, defects and malfunctions. This information sheet lists the recording offices and the districts they serve. It also contains a list of all communities in each of the districts. Note that as of August 1, 2015, the Bethel district office has been closed and recording for the Bethel and Kuskokwim communities is now taking place at the Fairbanks office. You May Qualify for up to a $50,000 exemption off the assessed value of your home for property taxes. Are these forms guaranteed to be recordable in Wrangell Petersburg Borough	? Yes. Our form blanks are guaranteed to meet or exceed all formatting requirements set forth by Wrangell Petersburg Borough including margin requirements, content requirements, font and font size requirements. 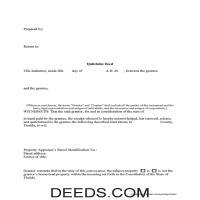 What is the Alaska Transfer on Death Deed? Real property owners in Alaska have an estate planning option: the transfer on death deed (TODD). Find the full text in AS 13.48. This statute is based on the Uniform Real Property Transfer on Death Act (URPTODA). By adopting the provisions of the URPTODA, Alaska joins with an increasing number of states using this law to help real estate owners manage the distribution of what is often their most significant asset -- their real estate -- by executing and recording a transfer on death deed. Transfer on death deeds are nontestamentary, which means ownership of the property passes to the beneficiary without including it in a will or a need for probate (AS 13.48.030). Still, best practices dictate that landholders should take care to ensure that their wills and TODDs contain the same directions. - The capacity required to make or revoke a transfer on death deed is the same as the capacity required to make a will (AS 13.48.040). - It must contain the essential elements and formalities of a properly recordable inter vivos deed, such as warranty or quitclaim deed (AS 13.48.050(1)). - It must state that the transfer to the designated beneficiary is to occur at the transferor's death (AS 13.48.050(2)). - It may not use a beneficiary designation that only identifies beneficiaries as members of a class or the deed is void. (AS 13.48.050(3)). - It must be recorded before the transferor's death in the office of the clerk of the county commission in the county where the property is located (AS 13.48.050 (4)). The named beneficiary gains no present rights to the property, only a potential future interest. Instead, the transferors retain absolute control during their lives. This includes the freedom to sell or transfer it to someone else, and to modify or revoke the intended transfer on death (AS 13.48.080). These details, along with the fact that TODDs only convey the property rights remaining, if any, at the owner's death, explain why they do not require notice or consideration (AS 13.48.060). According to AS 13.48.090, the beneficiary gains equitable interest in the property ONLY when the owner dies. Note, however, that the beneficiary must be alive at the time of the transferor's death or the interest returns to the estate. To prevent this from happening, the owner may identify one or more contingent beneficiaries. All beneficiaries take title subject to any obligations (contracts, easements, etc.) associated with the property when the transferor dies (AS 13.48.090(b)). If a beneficiary is unable or unwilling to accept the transfer when the owner dies, AS 13.48.100 includes the option to disclaim all or part of the interest as provided under AS 13.70 (Uniform Disclaimer of Property Interests Act). With these new transfer on death deeds, real property owners in Alaska gained access to a convenient, flexible tool for managing one aspect of a comprehensive estate plan. Even so, a TODD may not be appropriate for everyone. Since each situation is unique, contact an attorney with specific questions or for complex circumstances. Get your Wrangell Petersburg Borough Transfer on Death Deed form done right the first time with Deeds.com Uniform Conveyancing Blanks. At Deeds.com, we understand that your time and money are valuable resources, and we don't want you to face a penalty fee or rejection imposed by a county recorder for submitting nonstandard documents. We constantly review and update our forms to meet rapidly changing state and county recording requirements for roughly 3,500 counties. Review: Why is Dade County not listed for the Lady Bird Deed? Because on November 13, 1997, voters changed the name of the county from Dade to Miami-Dade. Review: Excellent service. I have been looking for a beneficiary deed for quite a wile with no success. My friend found your site and I was overjoyed. Fast, easy to use, and understand.I recommend this site to anyone. Thank you for your feedback Jacinto. Review: Everything was as advertised, and easily downloaded. Review: Thank you for the feedback. I reviewed this with my client/friend and she is following up with the appropriate people, including the Police and a lawyer. Thank you for your help. Review: Re: Idaho Affidavit of Successor: Decedent's residence may be a state other than Idaho. Death certificate documnet# field is too small. Thank you for your feedback. We have emailed you an amended document to address your specific needs outlined in your feedback, hope this helps. Have a wonderful day. Review: Very simple. By creating the deed and filing it myself, I am saving a legal fee of $300!